Everyone is talking about multichannel marketing as a way to reach today’s empowered customer, but what’s that mean for the email marketer? 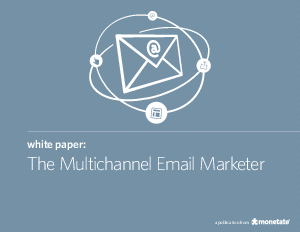 Simple: email marketers need to stop thinking about their role as a single channel focused solely on retention. Download this white paper and earn how to increase customer acquisition and retention rates.